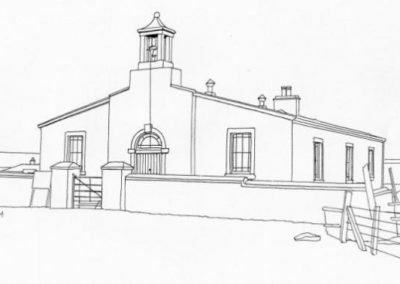 Built by local people in 1843 at the Disruption, Uyeasound Kirk is a smaller, and remarkably unaltered, version of Hillside Kirk at Baltasound. It was intended to seat 400. The plain glass windows have coloured borders. The interior is a remarkable survival of wooden pews and pulpit in a balustraded enclosure. An unusual skylight provides natural light to the pulpit. Memorials to South Unst men killed in World Wars. 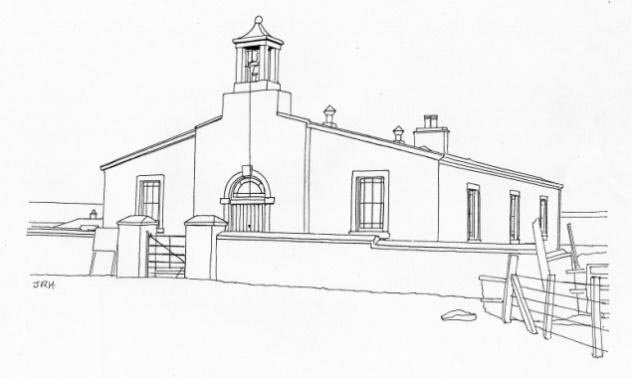 Regular worship is at St John’s, Baltasound, but see local advertising for services in Uyeasound Kirk.